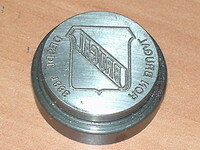 High quality engravings in any type of material. We recorded all type of steel and metals. We recorded pieces of great hardness like tempered pieces or pieces of widia or hard metal. Also we made engravings in soft materials as they podrian to be the plastics, methacrylates, etc. We recorded all type of texts, figures, grooves in 2d, 2d made on complex surfaces or models 3D. 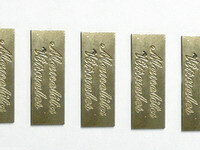 We were able to make engravings of long series to very competitive prices being maintained our quality standars. These long series can count of numerations or texts that change in each unit. Also we made collections of alphabets or numerations already are electrodes to use in EMD machines, striker pins, groups, etc.